American jurist; born at Steele, Rhenish Prussia, March 12, 1844. He emigrated to the United States in 1854, and was educated in the public and the high school of Milwaukee, and at the University of Wisconsin, obtaining the degree of A.M. in 1868, in which year he was also admitted to the bar. After postgraduate courses at the universities of Heidelberg, Bonn, and Berlin he settled in 1870 in Chicago. In 1892, and again in 1898, he was elected judge of the Superior Court of Cook County, Illinois, and in 1903 he was appointed judge of the appellate court of that state, of which court he is now (1905) presiding justice. 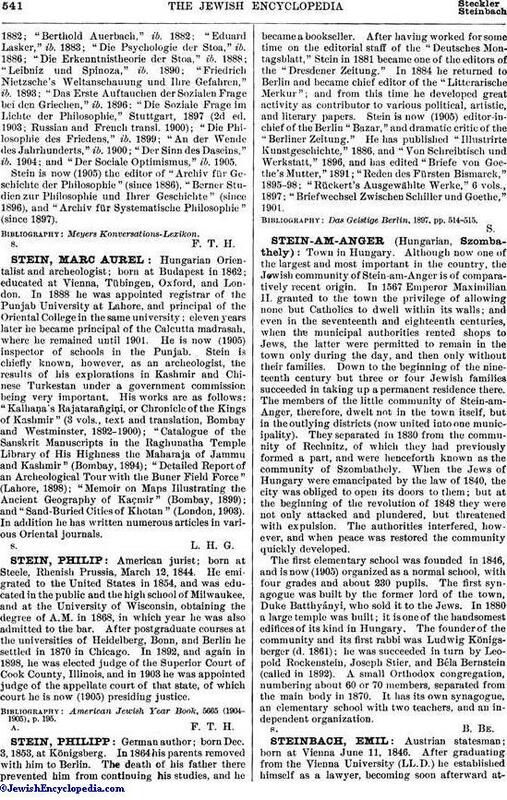 American Jewish Year Book, 5665 (1904-1905), p. 195.